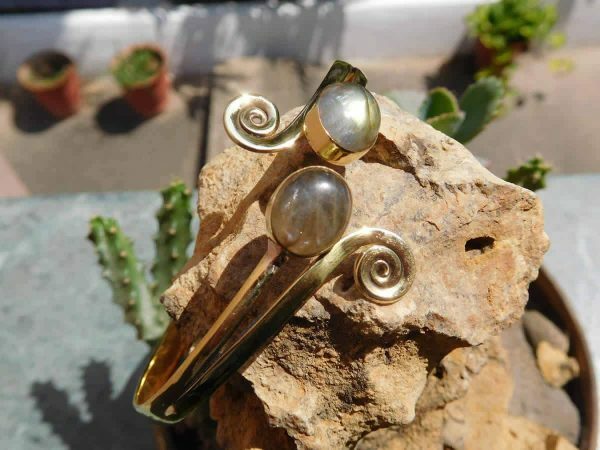 This simple bangle bracelet is a real stunner with its two fiery oval cabochon green/brown colour labradorite stones and spiral finish. This lovely piece has been hand-cast and finished in solid nickel-free brass and is adjustable to fit most wrist sizes. Size: Adjustable from 65mm width, 55mm depth. Stones: Natural labradorite with green/brown colours.